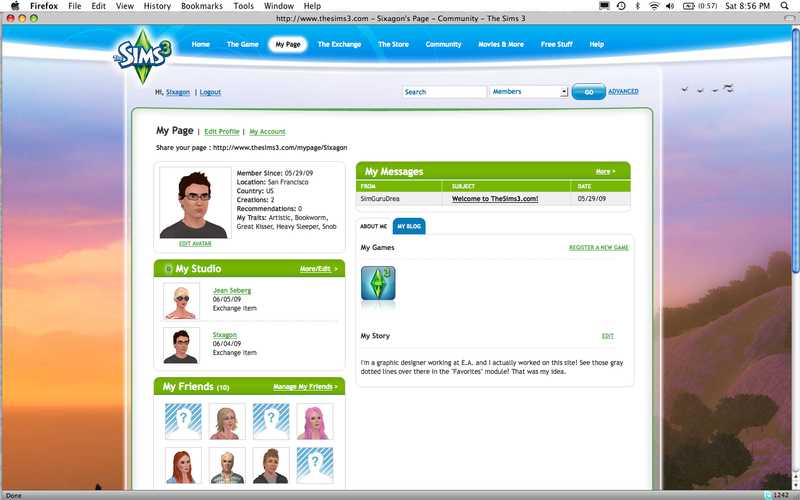 As the lead designer for The Sims Web team, I partnered with producers and engineers to create TheSims3.com. 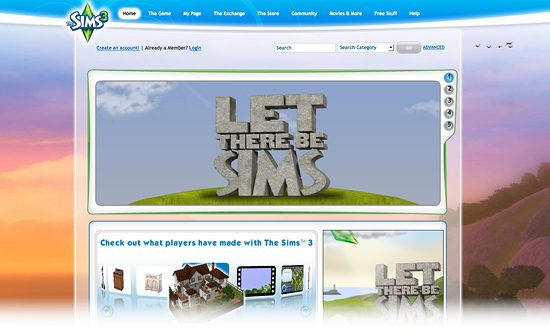 The site was to be a hub for the new game, and replace the popular Sims2 website with millions of loyal and active users. 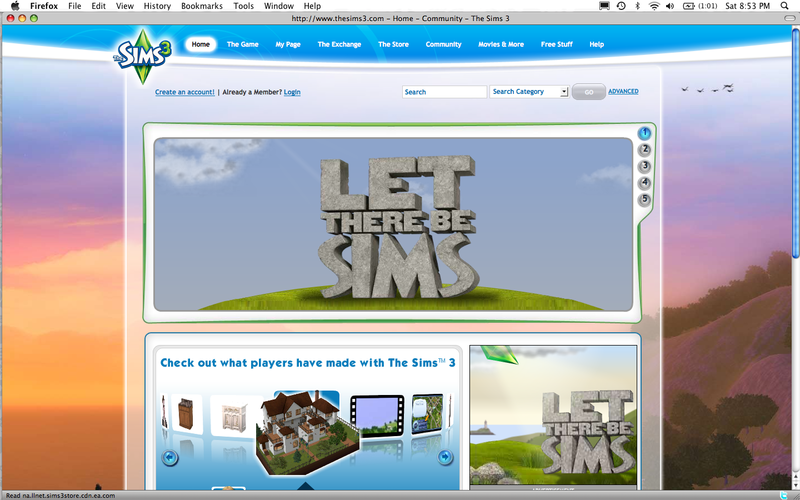 The home page of TheSims3.com served as a portal to attract and retain players. 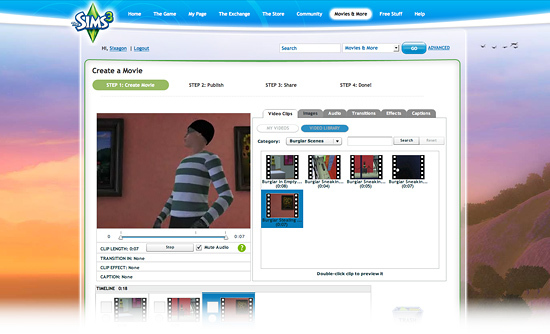 A flash slideshow dominated the top half of the fold, and informed players of new content and highly-rated in-game items. 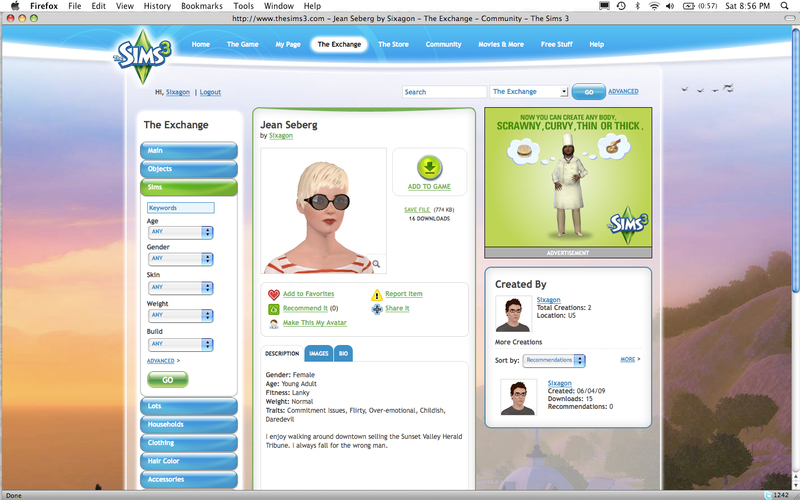 This was the main promotional area of the site, and directed players to The Exchange and The Store. 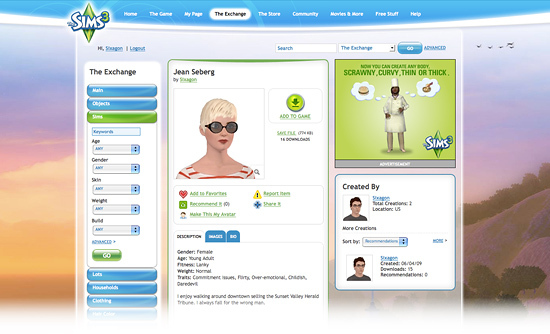 The Exchange was the area of the site where players could download other player's in-game creations. Items were filtered by tools on the left-hand side of the page. 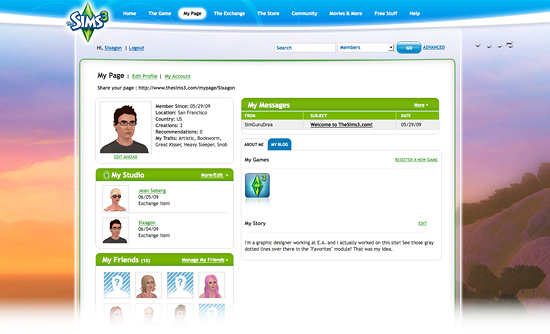 This layout became the basis of TheSims3 Store, where items created by Electronic Arts were sold. I kept most modules flat in the design, with clickable panels and buttons having 3D effects. My Page was a personalized area of the site where players could write blog posts, send personal messages to friends, and keep track of exchange items. 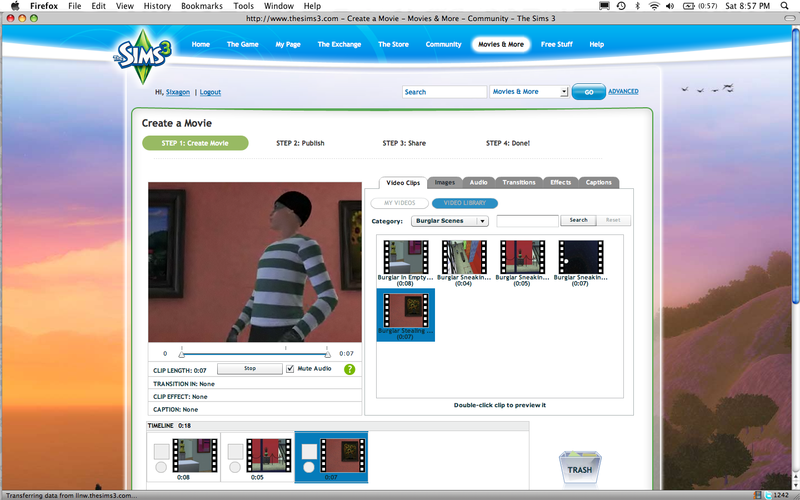 The Sims 3 PC game included tools to capture in-game pictures and movies. I designed a movie making tool where players could string movie clips together, then add effects and transitions. These movies were popular among the fan base, and highly rated movies attracted ratings and comments.